And then we realized we had a free weekend. 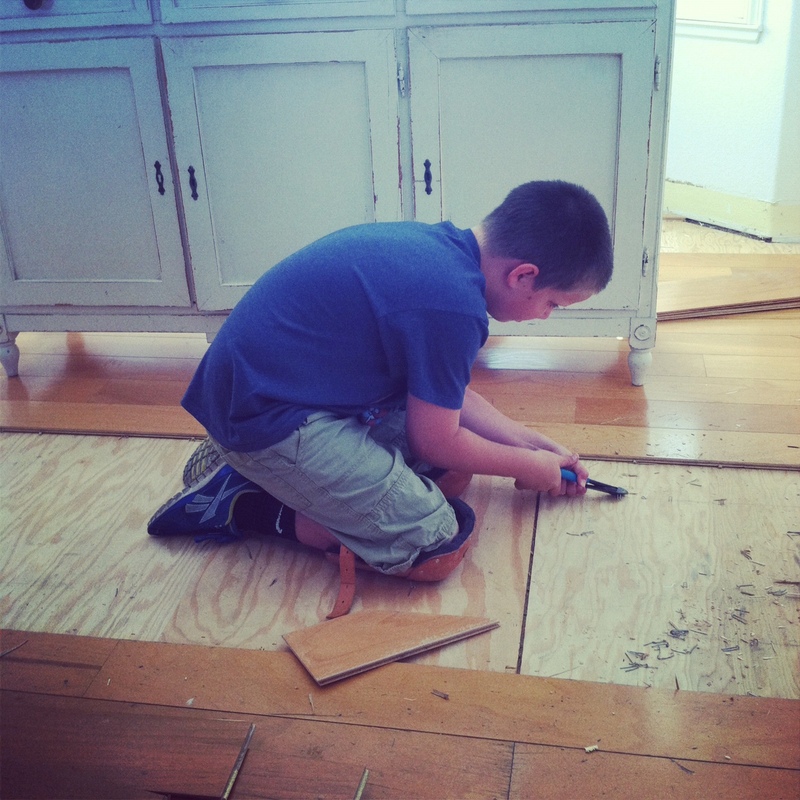 would be the weekend we replace our hardwood floors. 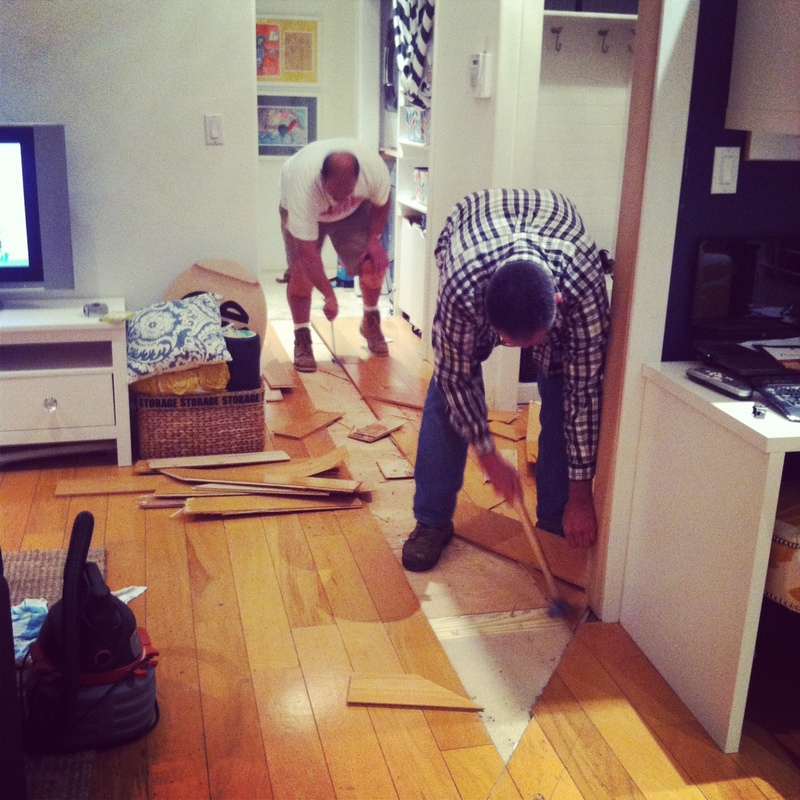 My dad and Dave started ripping up the floors Friday night around 8:00 pm. Blake got in on the action early Saturday morning pulling staples. We are moving furniture out even though it doesn't look like it at this point! sitting in the garage, then the POD and now back in the garage since then. To say I'm excited is an understatement! Good luck. Can't wait to see the finished product.